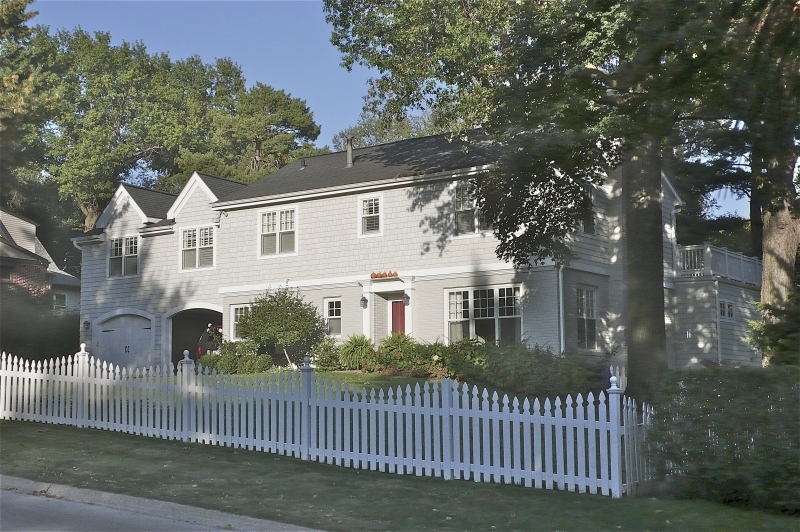 Located on a beautiful, tree lined street, this Colonial revival home is the result of an extensive remodel and addition to a 50 year old home. 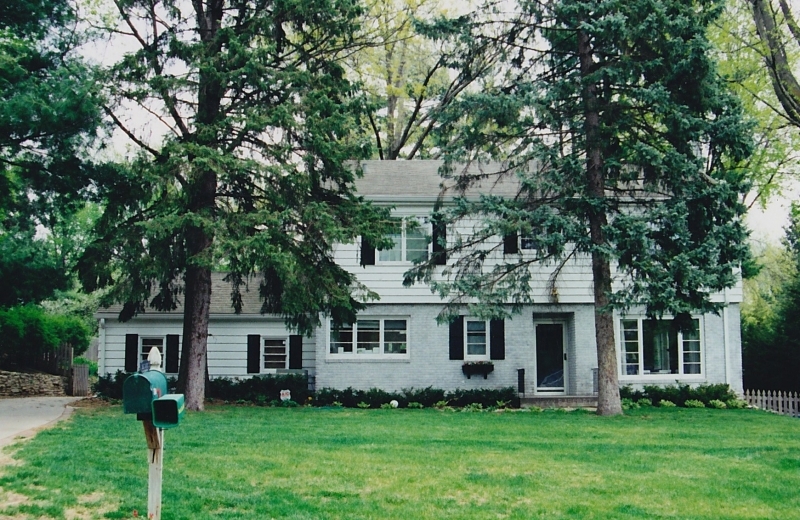 The existing rear-facing garage was demolished in favor of a new front facing garage, which serves to provide a second story platform for the new master bedroom bath and walk-in closets. 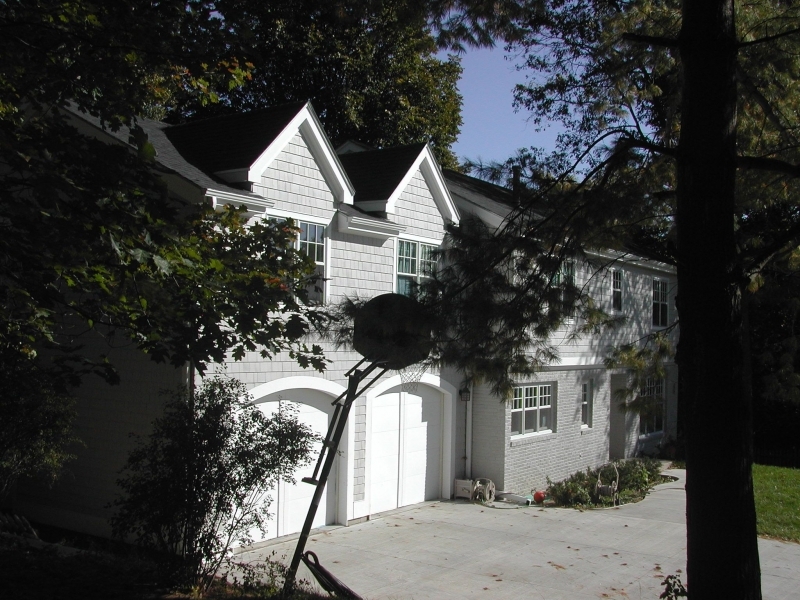 On the front, two wall gables center over the new arched garage doors while a new classical front porch entry surrounds add colonial authenticity and detail. 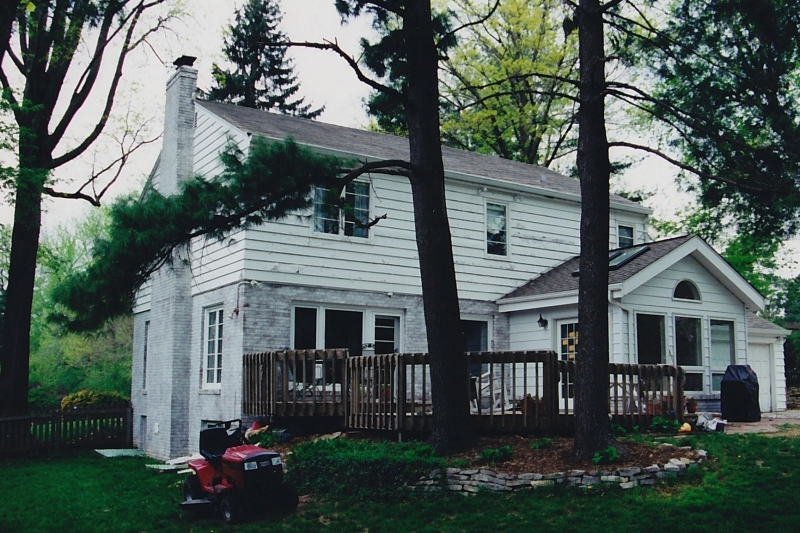 On the back of the house, two major new roof gables blend into the existing roof lines and allow for a master bedroom expansion and two new bedrooms. A flat roof with balustrades occurs over the new family room and doubles as a second story roof deck. A new, custom designed signature Palladian window with gothic tracery occurs off of the enlarged master bedroom. 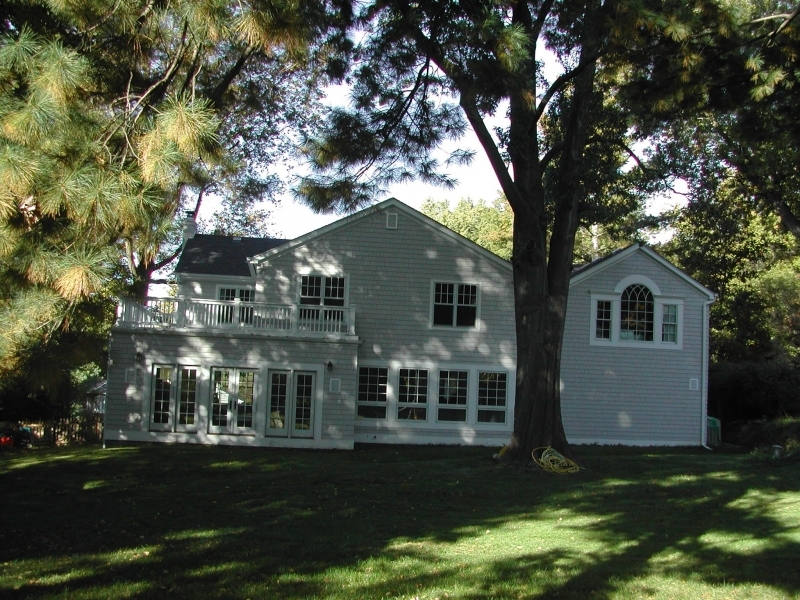 Multiple French doors and side-by-side windows serve to provide an inside to outside connection. 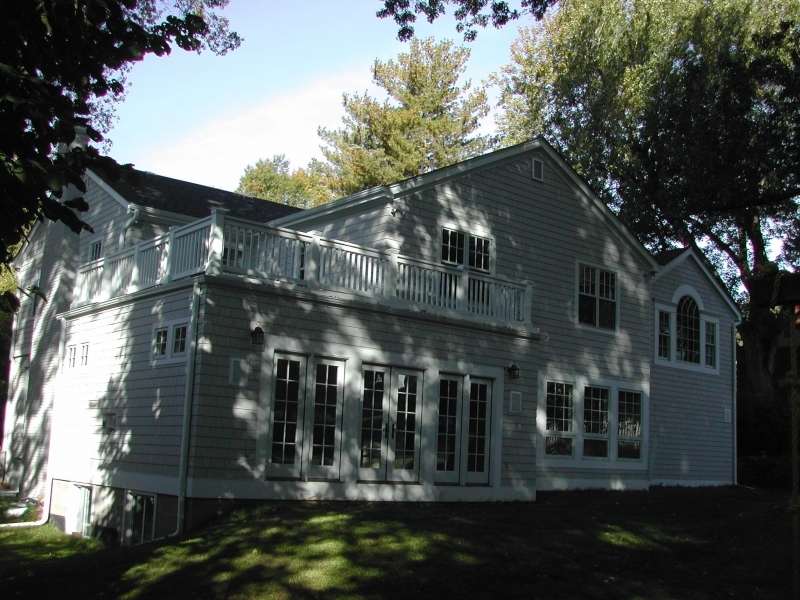 New six-over-one double hung windows, shingle siding, wood trim, water table, belt course, window surrounds and basic forms conspire to make this house a true Colonial delight.